We would like to tell you how Easter is celebrated in Poand. In our country all celebrations start on Thursday one week before Ash Wednesday (this day is the equivalent to British Shrove Tuesday) and last till Easter Monday. That day We go church. 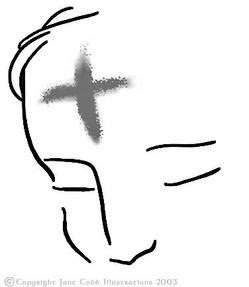 Priest sprinkles our head with ash. The carnival finishes that day and the Lent starts. Now for 40 days, we can't dance and have fun in club or at the parties. Ash Wednesday isn't day off; We have to go to school and after that We go church. We mustn't eat meat and cakes this day. It's very important day for catolics. The last day of carnival is called Mardi Gras or Shrove Tuesday. It is forty days before Easter. On that day pancakes are the favourite food. In Britain people eat pancakes. These are made of eggs, flour and milk. It is traditional to eat pancakes with lemon juice and sugar. There is the international Pancake Race in Liberal (USA) and Olney (England) at the same time. Housewives run a distance of about 415 yards from the market to the church. They have aprons on and frying pans in their hands. The winner gets a prayer book. Everything ends with a special service at witch the frying pans and pancakes lie near the altar. The races started about 500 years ago when a woman who was baking pancakes heard the church bells. She started running to the church with the frying pan in her hand. Pancake day is the last thursday before Lent ( Ash Wednesday ). 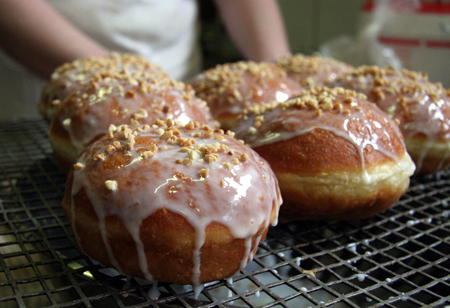 In this day we can overeat.Among the most popular all-national dishes served on that day are doughnut with rose and marmalade. Still, some time ago in Poland's houses our parents and grandparents ate (near sweetness) fat sausages, cereals, cracklings and other dishes fat as the most . On the last Sunday before Easter, in the morning, we go to church with family in order to sacrifice palms. In church a priest consecrates palms with holy water.This day is called Palm Sunday. The palm is a bunch of catkins, box and coniferous branches. We always buy prepared palm in florist's. Consecrated palms are burned on Holy Saturday and ash is used on Ash Wednesday next year. Many beliefs are connected with palms, for example it protects people and their houses against evil. Before Easter we clean house and bake cakes. On Saturday we dye eggs in different colours and patterns. On Saturday we put into basket eggs, an Easter Bunny, sausages or ham, bread and piece of Easter cake with raisins, and finally we decorate it with willow catkins. A very interesting custom is maintained on Saturday. People go to the church in order to have their food blessed consecrate. It is movable holiday, the day of Christ's Resurrection.After mass we go to house and have breakfast. We eat: eggs, ham, bread, sausages, etc. We afternoon go to chourch on ceremony service.To evening we sit with family and talk. In Poland this is the most important day of the Easter holidays- the day of Christ's Resurrection. In my family, we begin the day by eating an official breakfast which contains the traditional Easter food (eggs, ham, bread, sweets etc.). When we come back from church, we usually stay at home with family or go to visit family. This is how I spend my Easter Sunday:).